The Last Supper malayalam movie directed by debutant Vimil will feature Unni Mukundan, Sreenath Bhasi and Maria John in lead. Produced by George Sebastian, this movie revolves around the life of three friends take an adventurous trip to a forest. Pearle Maaney, a VJ and photographer who already had made her Mollywood debut in Sameer Thahir's Neelakasham Pachakadal Chuvanna Bhoomi will be seen in an important role in 'The Last Supper'. 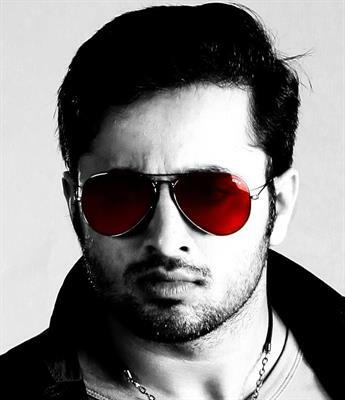 Unni Mukundan has been roped to play the lead role in debutant Vimil's 'The Last Supper'. Produced by George Sebastian, this movie revolves around the life of three friends take an adventurous trip to a forest. The trek into the dense forest and the series of incidents to be followed makes the theme of the movie. Maria John, a popular model who made her acting debut with Salam Bappu's 'Red Wine' would don the role of a rockstar. Pearle Maaney, a VJ and photographer who already had made her Mollywood debut in Sameer Thahir's Neelakasham Pachakadal Chuvanna Bhoomi will be seen in an important role in 'The Last Supper'. Maria who is much excited about her character in 'The Last Supper' is fortunate to have the full freedom to select the costumes. She will be seen in new looks and hairstyle. She is expected to get some tips from her designer friends in Mumbai and Delhi to get the best look on the screen. Nivin Pauly who was initially reported to play the lead role has been replaced by young actor Unni Mukundan. George who had ventured into production with 'Emmanuel' is gearing up to cash for the next which would be an adventurous trip into the forest. Sreenath Bhasi who has lent his face for movies like Pranayam, 22 Female Kottayam, Arike, Usthd Hotel, Ayalum Njanum Thammil, Da Thadiya, Hiney Bee and Rasputin will do a prominent role. Play House release would bring the movie before the audience. Scripted by Sameer and Deepak, this movie will be shot in exciting locations set at Coorg and Ernakulam. Meanwhile heartthrob Unni Mukundan is getting busy with a number of projects in kitty. After magnum opus Samrajyam II:Son of Alexander and Gangs of Vadakkunathan(D Company), Unni is acting in Kaattum Mazhayum. Pearle Maaney a popular VJ and screenplay writer for an English feature film titled The Perfectionist is much excited to be a part of the project.